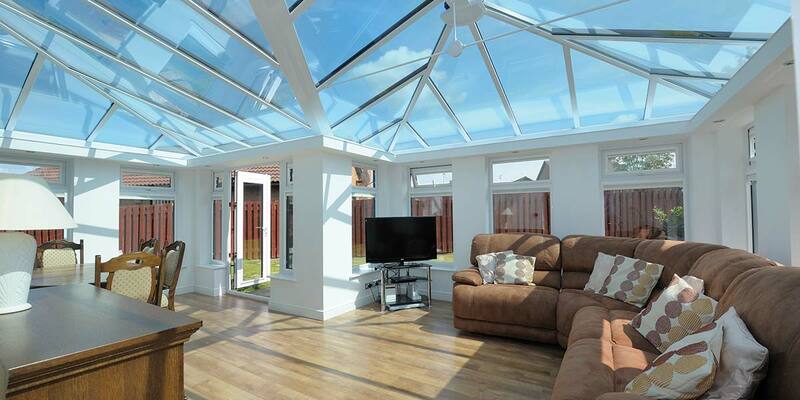 Add value and space to your home with a bespoke Orangery from Bon Accord Glass. 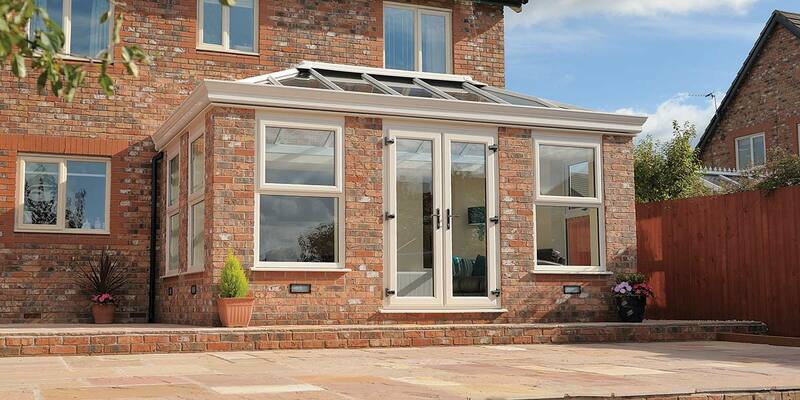 Choose from orangeries available in Aluminium, Hardwood Timber or UPVC. 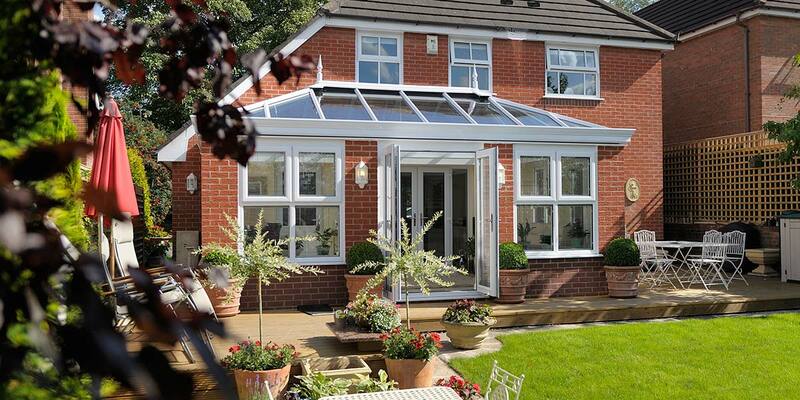 Improving homes since 1974 – Bon Accord Glass offer a professional installation service including full building works, joinery, electrical and all plumbing requirements for all orangery designs. 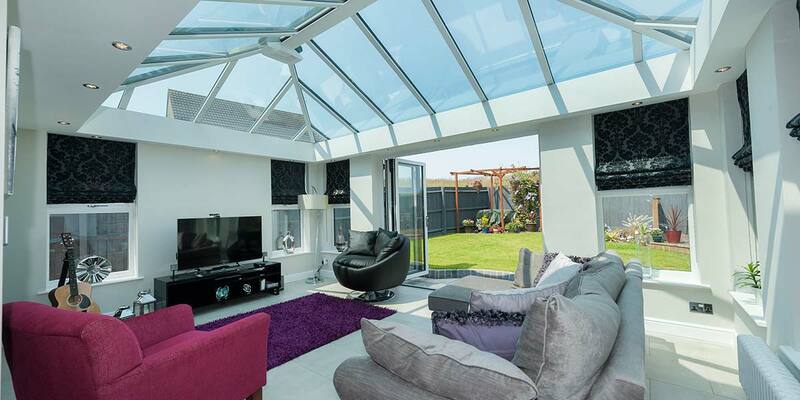 Orangeries offer a slightly different take on the traditional conservatory, and a modern design is a great way to add conservatory-style light, space & value to your home. 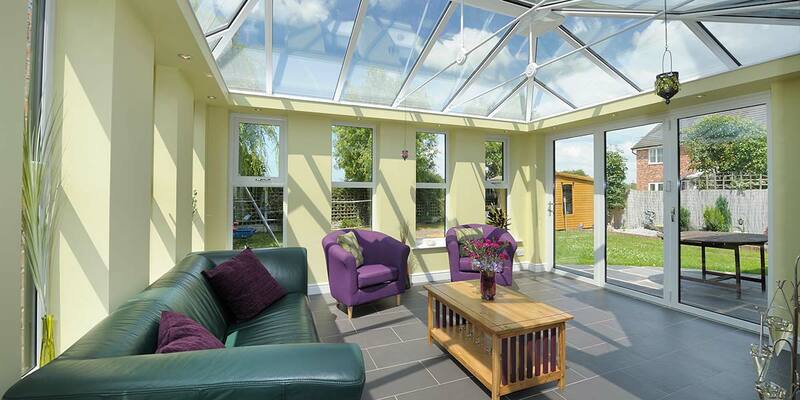 Our range is available in a wide choice of colours, styles, glazing & door options. 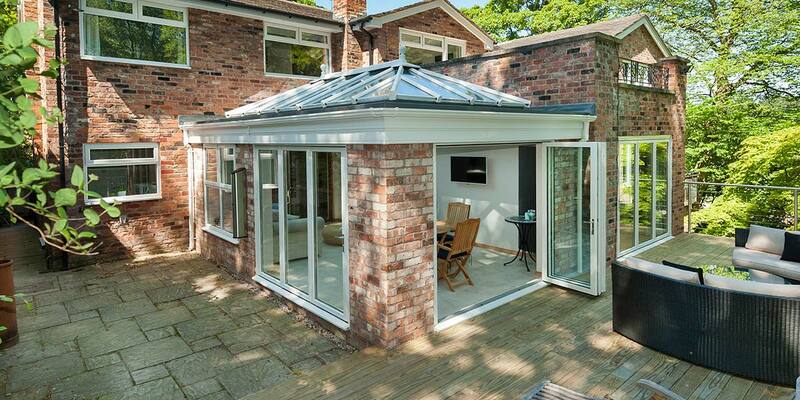 When your home needs expanding there’s no finer way to achieve it than by getting a timber orangery installed. 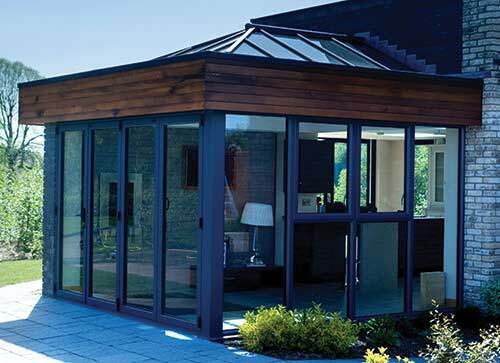 Anyone thinking of going down this route should have a conversation with one of our designers who can inform you of the best version of the timber orangery for your particular requirements. After communicating your thoughts to the designer, they will produce a 3D visualisation drawing of an appropriate Hardwood Timber Orangery that we propose adding to the property. If you like what you see, full details and costings will be supplied. The only thing left to do then is to take care of any planning and building warrant applications. Bon Accord Glass will sort this out for you with the relevant Local Authority and come up with a design that satisfies the local Planning Officer. We will also do our maths and take full structural calculations. Any technical drawings are completed by our in-house Architectural Technician and given to you before the installation proceeds. Wherever you happen to view it, inside or outside, an aluminium orangery has an unrivalled styling that you just cannot take your eyes off. It doesn’t matter if you live in a new-build or aged traditional residence, an aluminium orangery can revive the look of any property. 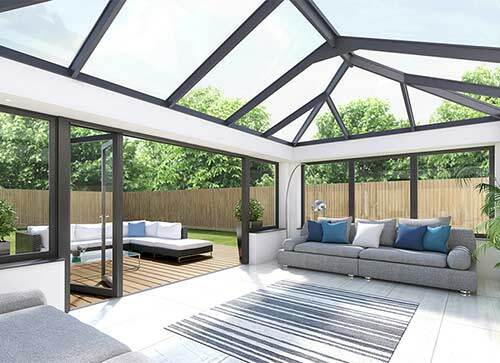 Bon Accord Glass prides itself on the meticulousness of our design skills – we know that we have the talent and experience to create some mind-blowingly stylish timber orangeries. 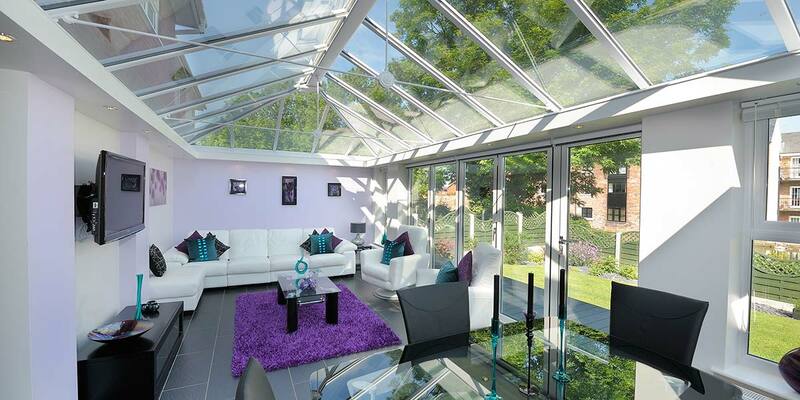 Sleek throughout, glass dominates aluminium designs and makes them more than fit for 21st Century home living. The vast roof covering of an orangery gives the interior an airy feel and makes the space feel amazingly comfortable throughout the year. 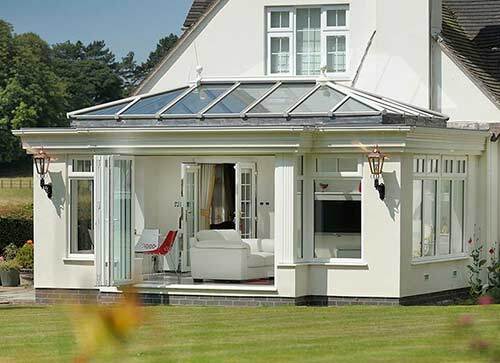 When you want some input into your orangery design, we are happy to let you have an influence and determine how it’s fashioned, before you go ahead and furnish and accessorise it, after all, you want to enjoy it for years to come. 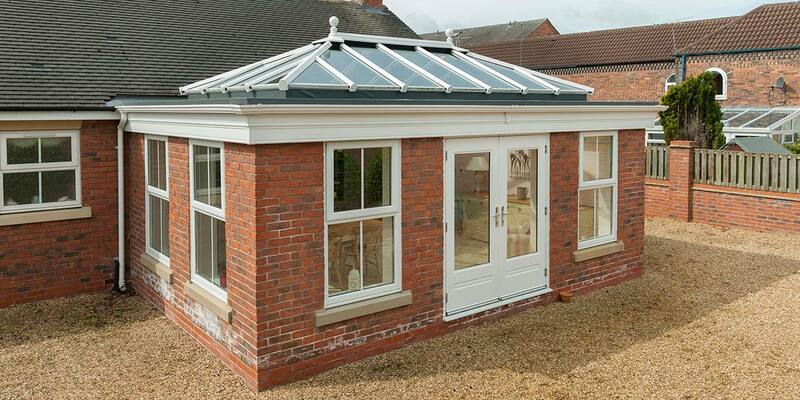 We don’t want any of our customers to feel daunted at the prospect of buying an orangery. 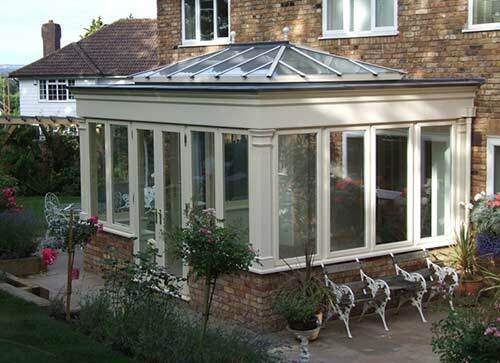 Bon Accord Glass has extensive experience of orangery designing, planning and fitting, so you’re in the safest possible hands. 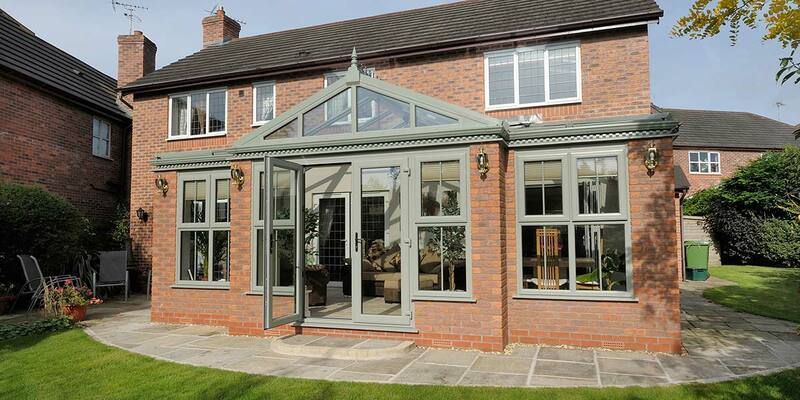 What we don’t know about orangeries simply isn’t worth thinking about! Speak to one of our consultants and you will have instant reassurance of our expertise. 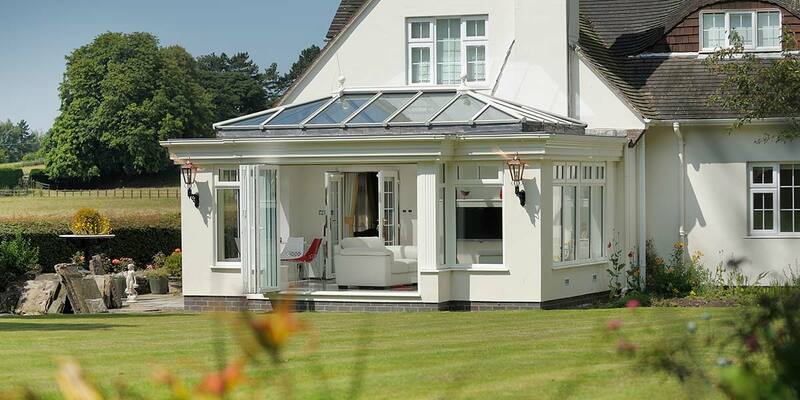 Location – An orangery needs to be positioned in the exact right spot for your home. This positioning can only be determined once we have conducted an assessment of your home in person. 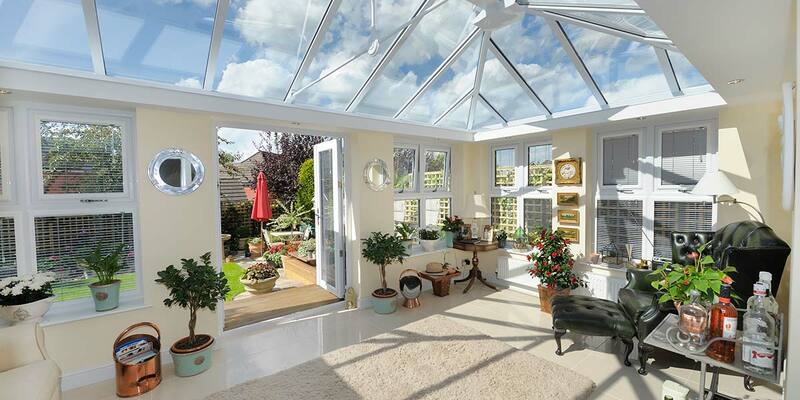 You will be informed during this process that north or easterly facing orangeries feel at their warmest and brightest in the morning. On the other hand, a south or westerly facing orangery feels the same a bit later in the day. Once this has been decided, we can then choose a suitable glazed solution for the design. 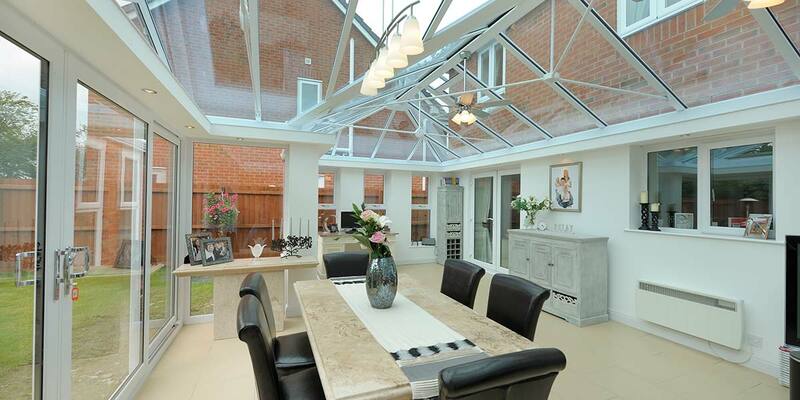 Function – The beauty of the vast spaciousness of an orangery is that it can be utilised in so many ways. 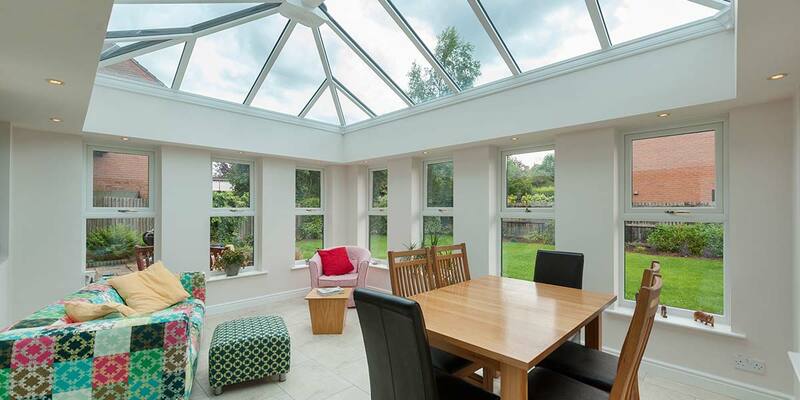 Most customers choose to assign their orangery as an additional sitting or dining room, however we have had lots of people ask for it to be turned into a functional space for homeworking or a play area for the kids. 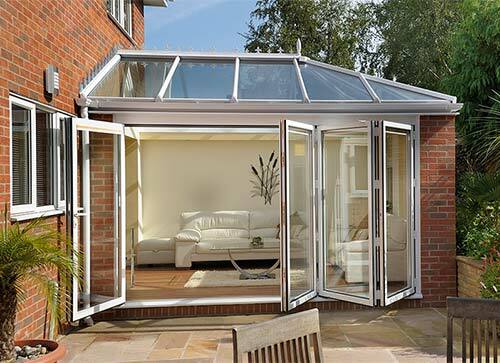 Accessories – Your orangery will only be fully up and running once you have accessorised the space accordingly. Instead of listing the full range of accessories available here, speak to a consultant who can take you through them all and point you in the direction of those they feel will be most suitable for your individual project. 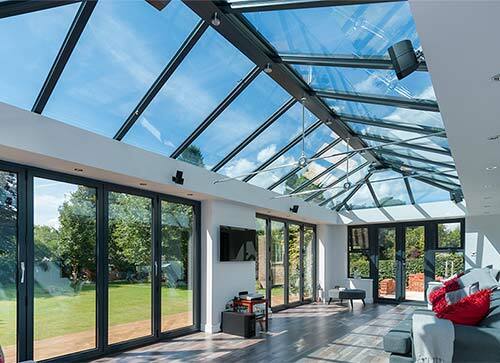 Aluminium is one of the strongest materials on earth and yet it can still be moulded to create the most elegant of orangeries. 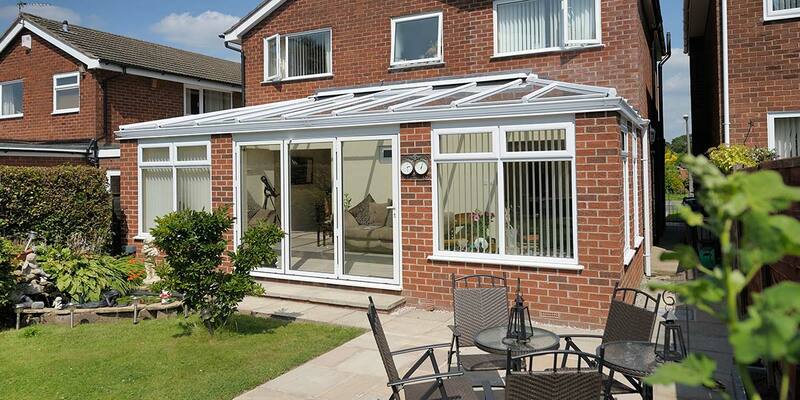 This resilience ensures you of an orangery that you know will last and show its class throughout its lifespan. You wouldn’t believe how much glass an aluminium conservatory can accommodate and credit for this goes to the fabulous trim framework. Use a sublimated woodgrain finish to make your orangery look as though it’s made out of timber. 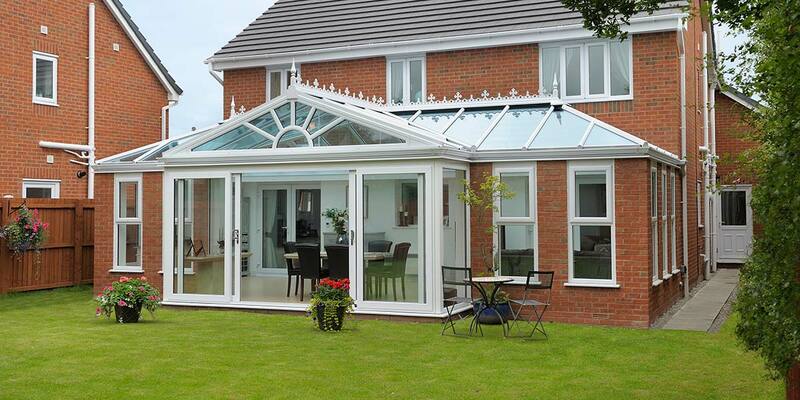 The best way of seeing the difference between a traditional and sculptured UPVC frame is to place them side-by-side. The dimensions and contours are noticeably different and this may sway your decision. 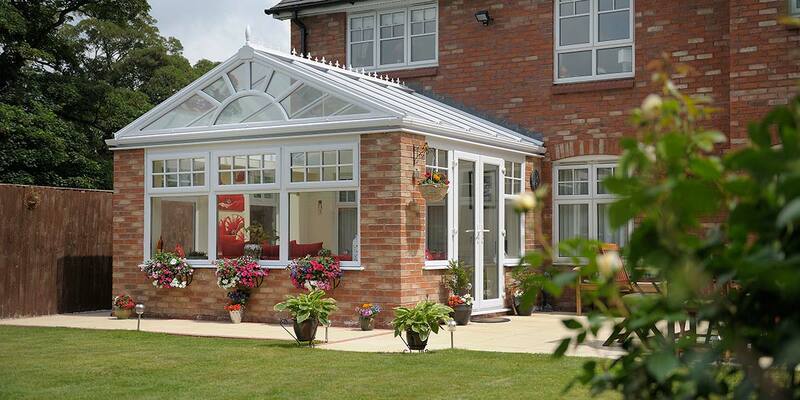 Look at them up close and feel them before telling us which of the two you want incorporated into your new orangery. 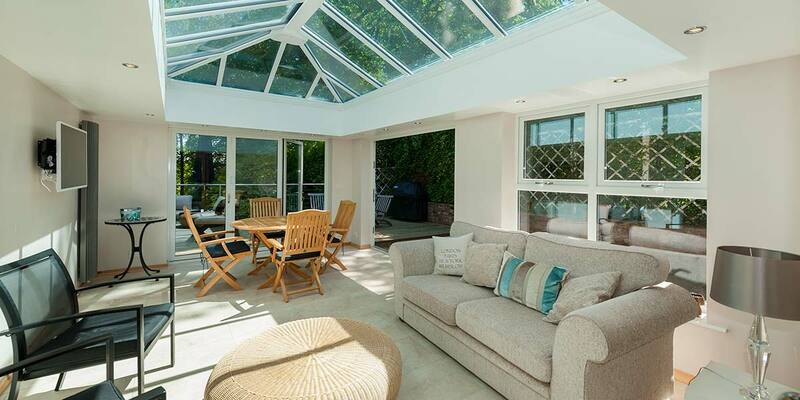 UPVC tends to be the favoured material for most orangery buyers. You can put this down to a number of things. 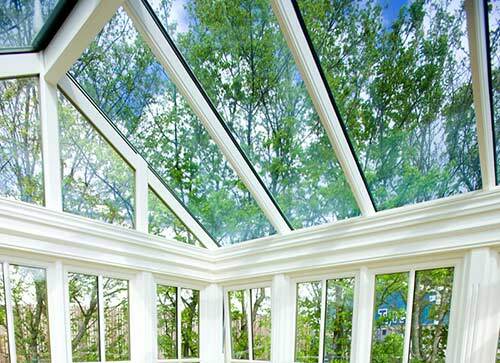 Firstly, UPVC is fully weather-resistant and we know how unpredictable the weather can be in this country. 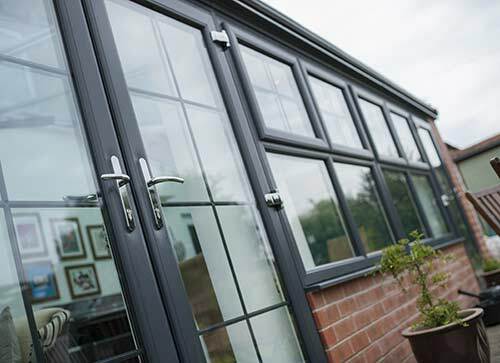 Secondly, it offers outstanding thermal efficiency which is essential if you expect your orangery to be useable in all weathers. 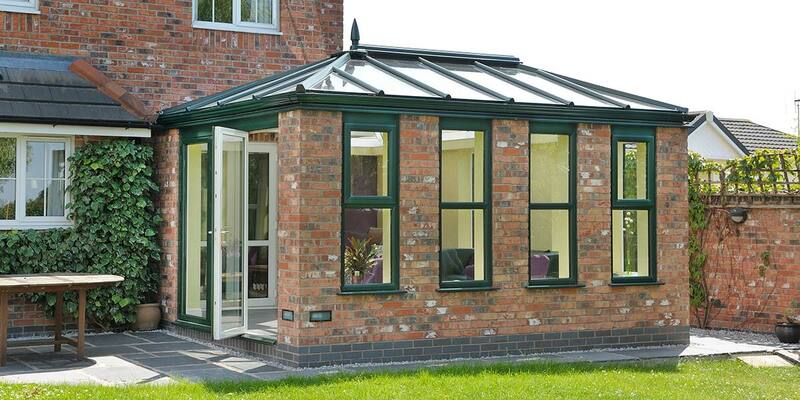 Our timber orangeries are composed of a hardwood, a choice we made because of the superb strength, durability and machining flexibility it provides. No rotting will ever occur and it can resist fungal attach and moisture penetration. We also love how it can take various finishes with total ease. The oil within the timber helps it possess all of these important qualities. 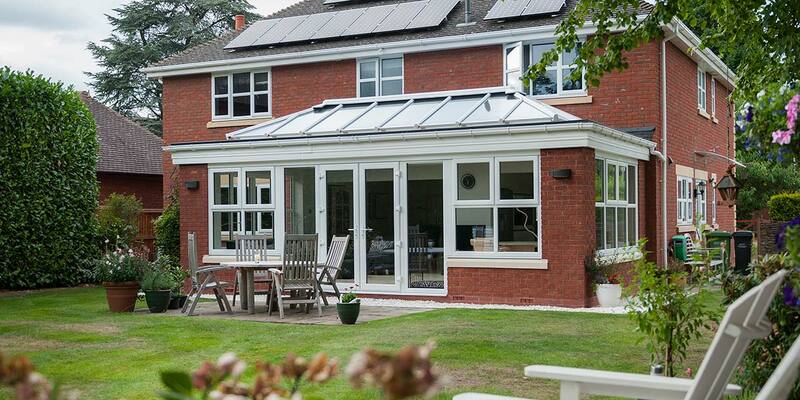 We predominately utilise Idigbo and the timber orangeries we manufacture are fully accredited by the Forest Stewardship Council (FSC). 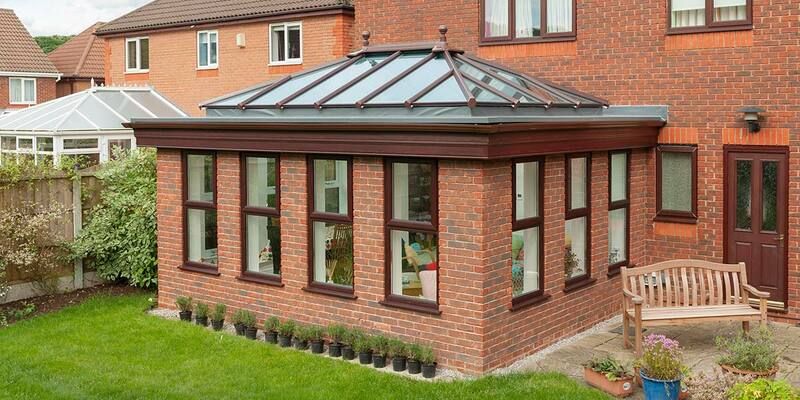 Framework dimensions – standard depth 70mm with 68mm wide mullion and projecting storm proof casements. Where flush walling is specified incorporating shot-in casements (often required for Listed Buildings) a 95mm deep framework with 68mm mullion is used. When treating the timber we use a micro-porous paint, or a double coating of natural stain, which is applied in a fully automated paint plant to supply the components with a fully finished high-build uniform coating. 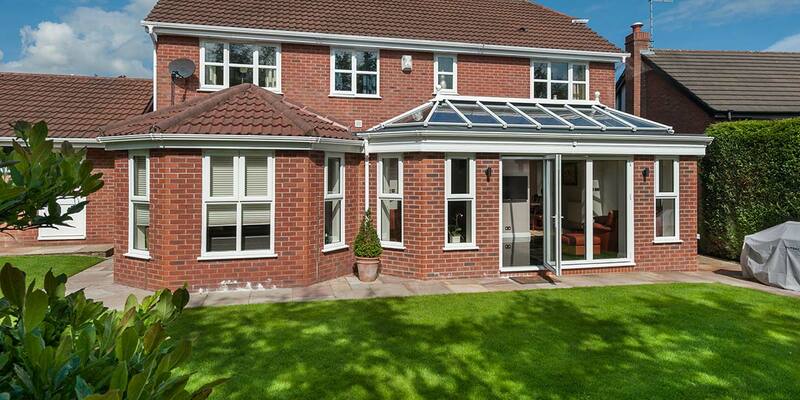 Switching from your orangery to your garden can be done no more stylishly than via a set of bi-folding doors. All it takes is the gentlest of pushes to make bi-folding doors glide along their accompanying track and they can be configured to occupy various available openings. Use them to make the indoors feel like the outdoors. The individual door leafs will fold as you manoeuvre them open giving you numerous possibilities when it comes to ventilation. 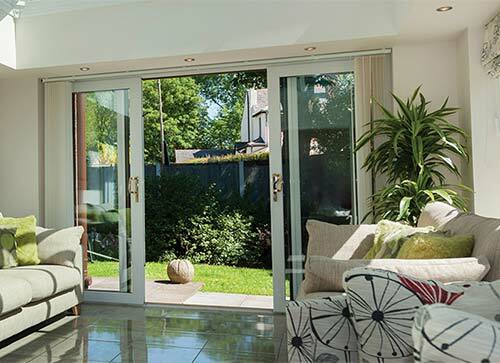 They largely consist of glass as the frames are kept purposely slim – many would argue that bi-folding doors are the most stylish door solution available to householders and who are we to argue? 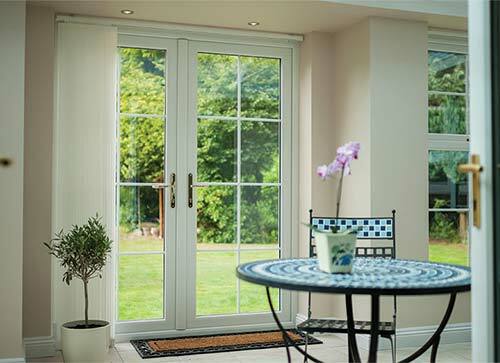 For a wide double opening in and out of an orangery look no further than the generous double opening you get from a set of French doors. The glass, frame and patterns used in a French door design make it extremely visually pleasing and it is guaranteed to be in frequent use once you get accustomed to operating the door. 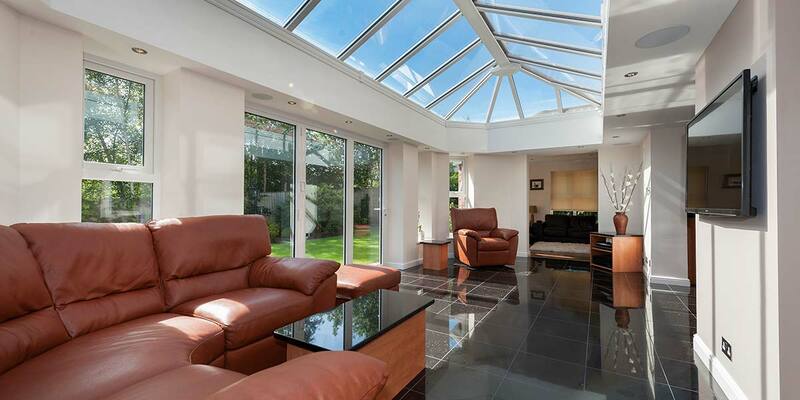 Orangeries are known for their spaciousness, but it may not be enough for some families. 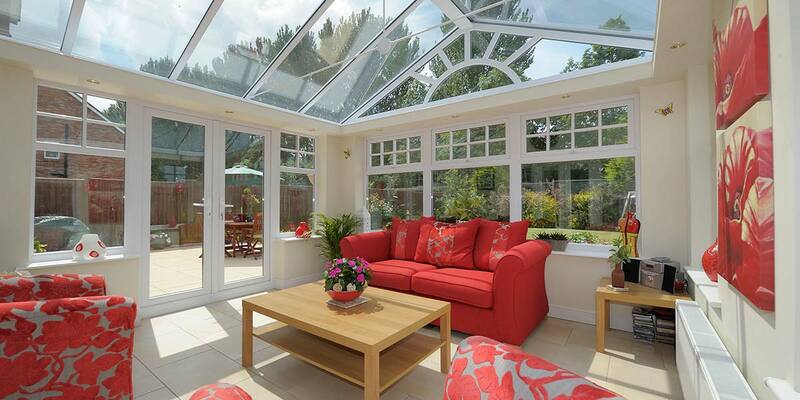 Extra spaciousness will come when you ask us to include patio doors in your orangery design. 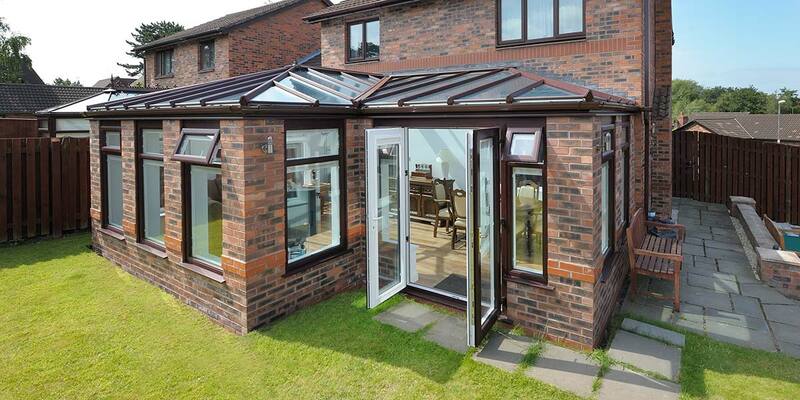 Just leave them open to let the outdoors invade your internal orangery space to make it roomier than you could ever imagine. The sun will also be able to get in more easily. 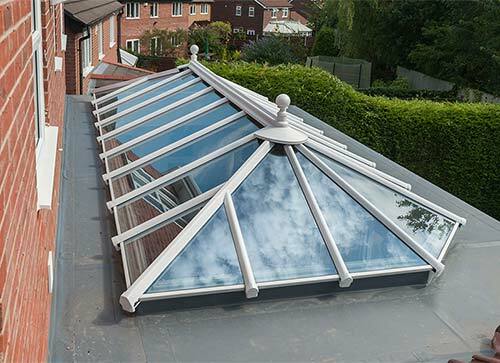 It would be false advertising if we labelled our so-called “classic” roof without it having proved it has the qualities needed to keep orangeries thermally efficient. Time and time again it has showed that it has. Most of our classic roofs contain a very prolonged piece of glass, great if you want a transparent view of the world above. 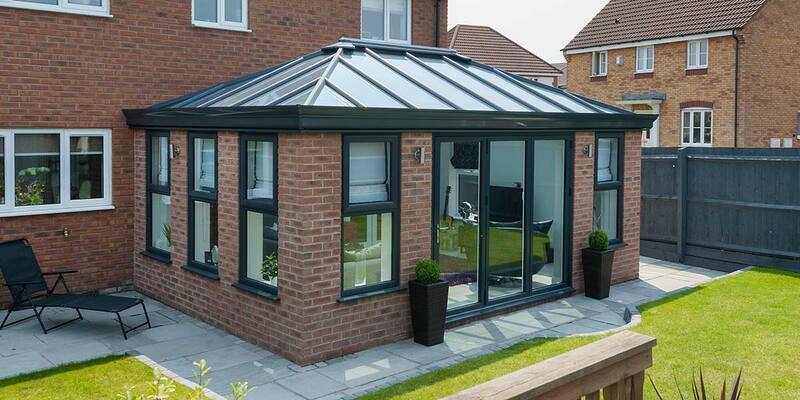 Your new orangery will only perform as expected if it has the right roof covering. 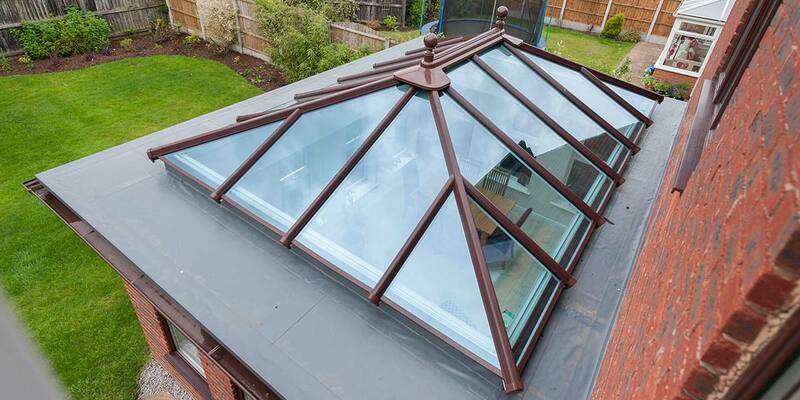 The Skyroom roof is a revolutionary roofing system that performs way beyond the norm and can easily be incorporated into most types of orangery. To make it blend in, select a colour that complements the brickwork walls. Some people call it an Atrium Roof, but we prefer to call it a Lantern roof. 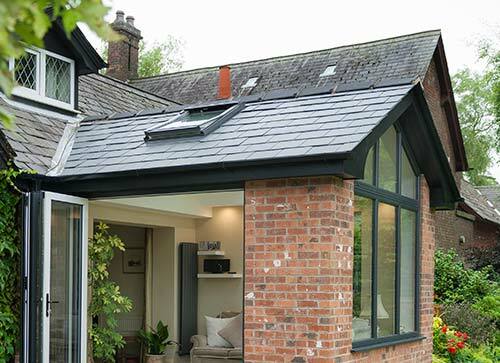 Whatever you call it, this roofing system is instantly recognisable and helps to keep orangeries fully insulated – cool in summer and warm in winter. No amount of bad weather can beat it! 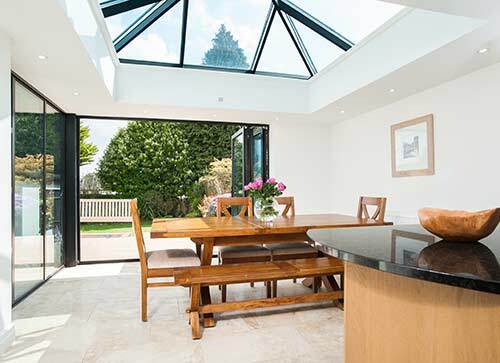 There’s no hiding from the fact that tiled roof orangeries suffer from a shortage of light, but the plasterboard internal finish resolves the problem and makes the interior feel more than bright enough. Carefully chosen to match the tiles / slates on the roof of your house, a tiled roof system also makes an orangery completely weather-proof. You can walk into it in any weather and anticipate constant comfort. 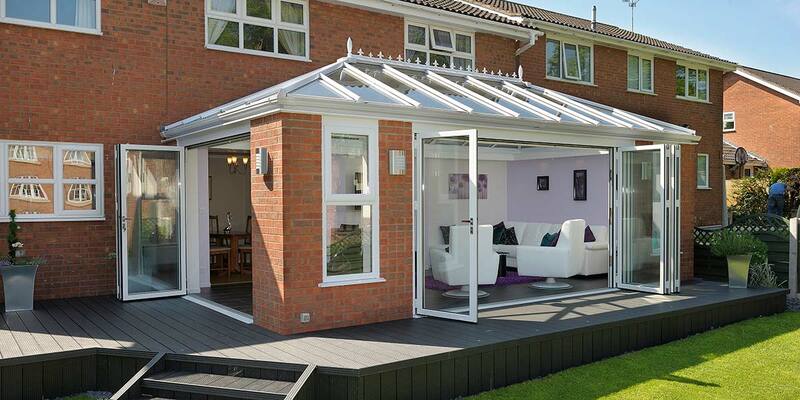 For a low-maintenance roof with a unique roof valley system and polyester powder coated aluminium weather cappings, look no further than our roof timber option. It utilises Idigbo, but this can be exchanged for an alternative species with an identical or higher specification. 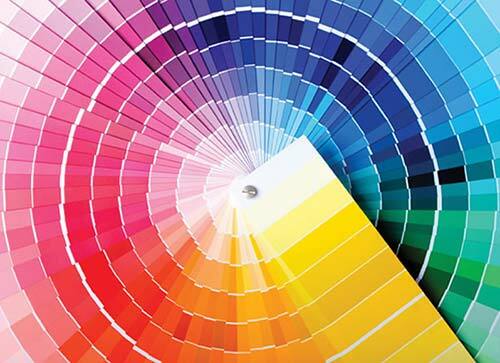 Choosing a coloured finish for your new orangery is one of the most exciting bits, especially when there are so many colours to pick from. We have tried to make our colour palette as broad as we possibly can so that there is something for everyone. Alongside traditional favourites are a host of modern shades. 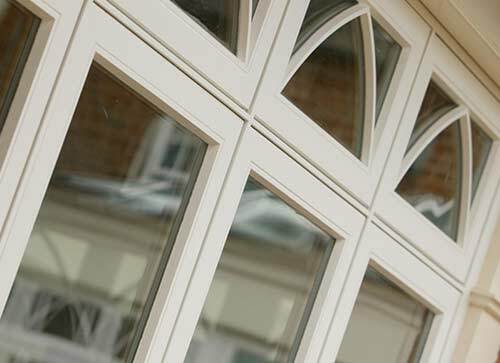 We also have woodgrain effects for UPVC and aluminium orangeries like Rosewood, Oak and Walnut, if you fancy owning an orangery that you would swear has been crafted from timber. 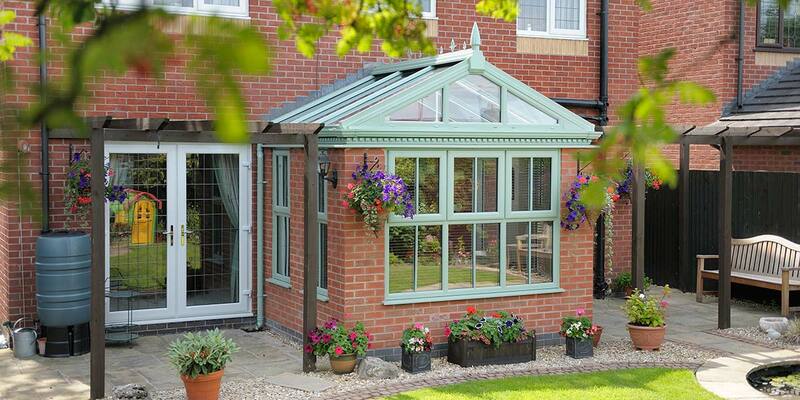 Speaking of timber orangeries, you can have them coloured in one of 30 outstanding finishes including limestone, sage green, harbour blue, granite, light oak and black. 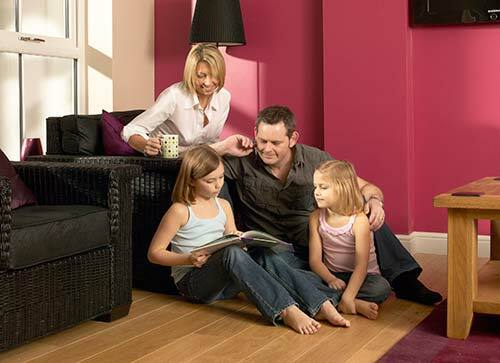 You can also instruct us to create or match any RAL colour of your liking. We work extremely hard to ensure that any orangery bought from Bon Accord Glass supplies customers with fantastic value for money. This makes us confident enough to guarantee the product for several years. When handed the guarantee have a good read of it as you will see there is a possibility that small remedial adjustments may need to be made. 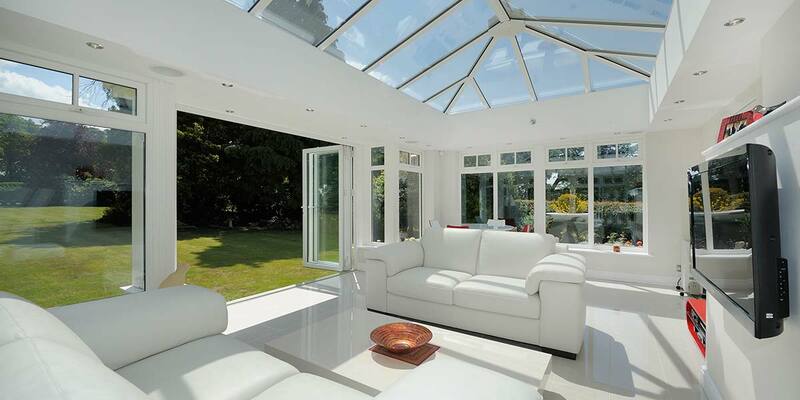 We can do some wonderful things to orangery interiors, seeing to any underfloor heating, atmospheric lighting, sleek door handles, tiling and wooden flooring that you want. Bon Accord Glass will also advise you on any electrical requirements with regards lighting, TV’s and home entertainment centres. 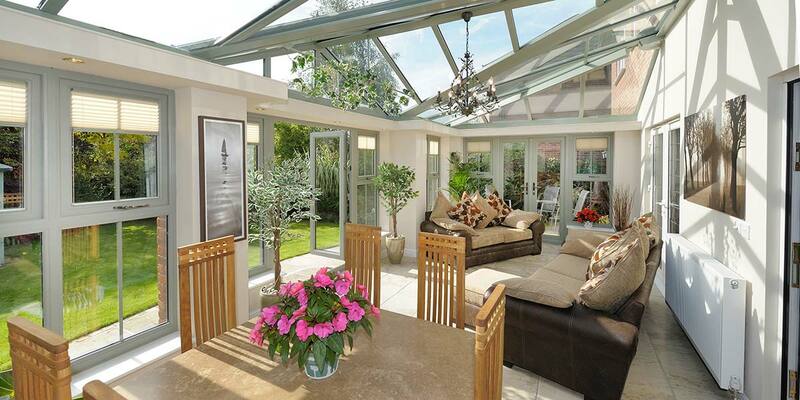 The importance of lighting cannot be overstated – it’s what generates the overall ambience in an orangery. 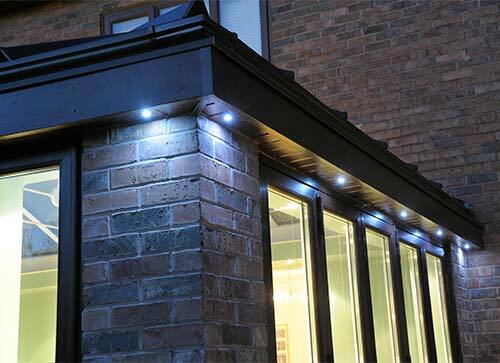 We recommend that you investigate including an interior lighting pelmet fitted with soft low voltage downlighters and LED downlighters or brick lights for the orangery exterior.